Muslim nations have called for measures to address Islamophobia at an emergency session in Turkey in the aftermath of the 15 March mosque shootings in New Zealand. Turkish President Recep Tayyip Erdogan called for a global fight against rising anti-Islam sentiment. 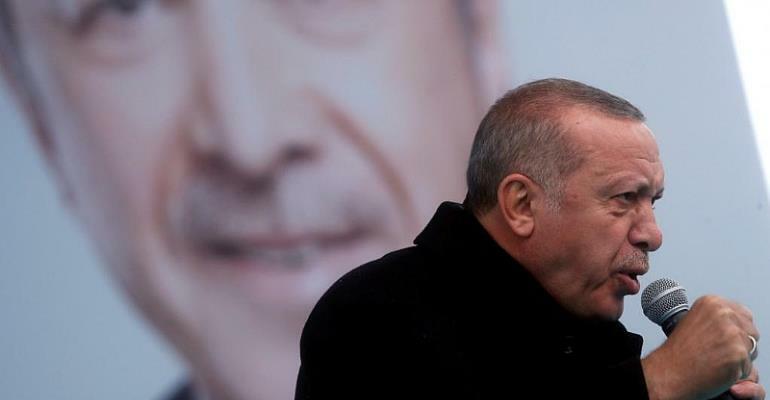 Over the past week, Erdogan has presented the Christchurch mosque attacks as part of a wider assault on Islam, demanding the West do more against anti-Muslim sentiment. Violence driven by Islamophobia requires "genuine, comprehensive and systematic measures to address this affliction," ministers from the Organisation of Islamic Cooperation said in a statement after Friday's meeting in Istanbul. Erdogan told the meeting that the global fight against rising Islamophobia should be like the fight against anti-Semitism. He said neo-Nazi groups should be treated as terrorists in the same way as jihadists from the Islamic State armed group. Erdogan was the only head of state attending the OIC meeting, which was also attended by New Zealand Foreign Minister Winston Peters. Prime Minister Jacinda Ardern said Peters went to Turkey to "set the record straight". Erdogan angered New Zealand this week by using the video made by the alleged gunman in campaign rallies for local elections this month. Erdogan has called on New Zealand to restore the death penalty. The comments and the use of the video have triggered a diplomatic dispute between the two countries. Peters defended the police response to the attacks, telling the OIC that it was "instantaneous" and that the perpetrator would spend life in prison. "This person will face the full force of New Zealand law, and will spend the rest of his life in isolation in a New Zealand prison," he said. "Our police have started the largest investigation in our history." He had earlier said Erdogan's airing of the footage as risking endangering New Zealanders abroad. At the conference, Erdogan struck a conciliatory tone, thanking New Zealand for its "sensitivity and determined stance." He praised Ardern's reaction, saying “the empathy displayed and her solidarity with Muslims should be an example” to the world's leaders.